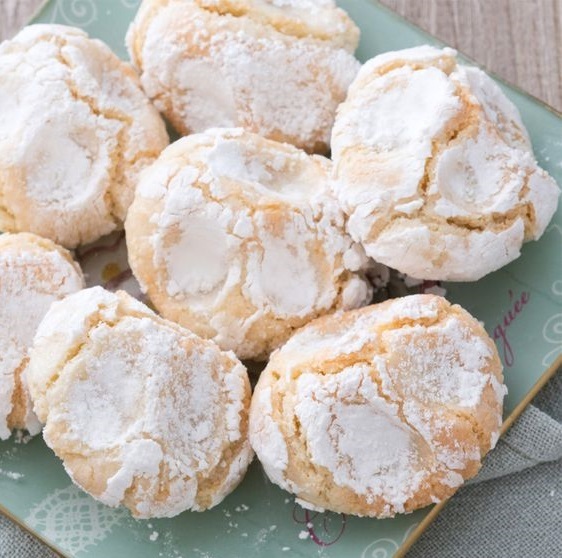 The Pizzicotti agli Agrumi are a variant of Ricciarelli di Siena. Also made with almond paste, they are very soft and flavoured with citrus. Made of a mixture of almonds, sugar, honey, orange and lemon paste, finely refined and worked together with egg whites to form a very soft and aromatic dough, Pizzicotti are distinctly different from normal marzipans. Once baked, they are then dusted with a layer of icing sugar. With their extreme softness and delicate taste, Pizzicotti are a truly special sweet treat.